Today is 3 weeks since my father’s suicide. The shock is wearing off, and beneath it lies a profound sense of loss, sadness and a grief so complex that words could truly never encapsulate it. That is the aftermath of suicide. But there is also the heartbreaking sense of permanence that is slowly seeping in. Never again to see him, hug him, hear his voice. The thought of that is like a brick in my heart. My dad’s last days were so full of anguish and pain. I want so much to know he is ok, at peace. I want to know, to sense that his spirit is with me. 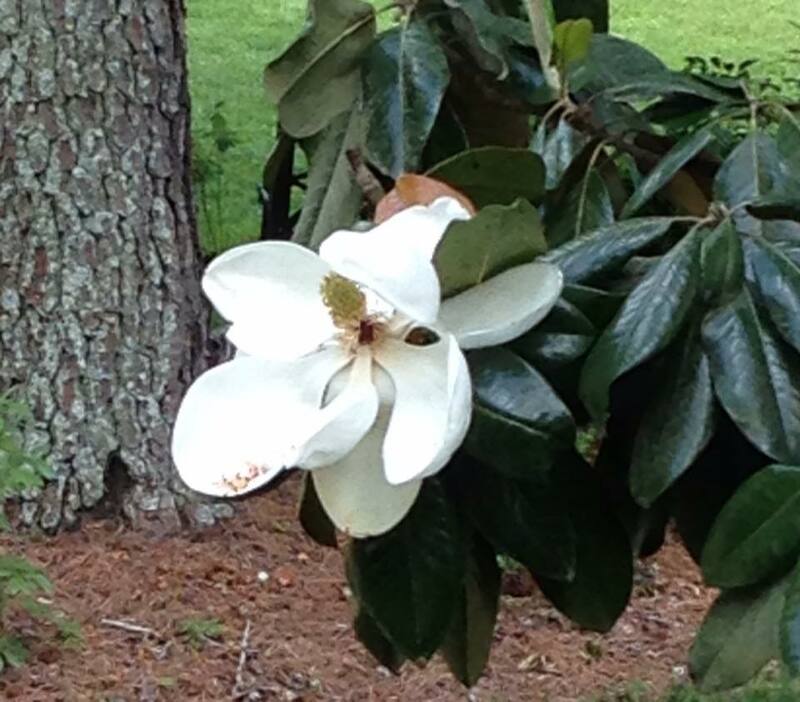 That he is near… And there it was today, one single magnolia flower on our tree had opened up & blossomed. Just one… Just today. Just when I needed it. My dad loved to watch the flowers bloom. Maybe, just maybe, that was his way of telling me, “I’m here.” At least that’s what I’d like to believe.